I have never owned an iPhone. That is right, I have never owned an iPhone ever. I was a huge Palm OS guy. I loved the Palm OS and most of the hardware that carried it. When they made the Treo 650, I made sure our managers all had one. When the iPhone came out back in 2007, I was in line at my local mall. I waited hours just like everyone else, but when I got inside the store - I didn't buy an iPhone. I didn't buy an iPhone, but I did make an video with it next to my Palm Treo 650. So was I more interested in the story than with the phone itself? Not at all, I was not a fan of AT&T and I was not going to give them a single cent. I liked the potential that the iPhone showed. While the iPhone gets a lot of phrase today, the first generation iPhone was not much to boast about. Next to my Palm Treo, it was not much to get excited about other than the huge capacitive touch screen. The App Store had not been created yet. As the iPhone OS began to improve and the iPhone began to develop into a great device, I started to pay more attention to it. Finally I bought my first Apple device, but it wasn't an iPhone. It was a first generation iPod Touch. I loved the device, but had some issues. The main things that it didn't have, that bothered, were the lack of an external speaker, no camera and the fact that it wasn't connected to the Internet all the time. In order to get all of the things I wanted, I would eventually have to get an iPhone. But I wasn't ready to jump the Sprint ship to AT&T. In the mean time, the iPad was release and I jumped at the opportunity to get one. The purchase of my iPad 1 delayed my purchase of what would have been my first Apple computer purchase. I wanted to get the Mac Mini. I waited for the iPhone to become available on any other networks before I would even consider purchasing one. 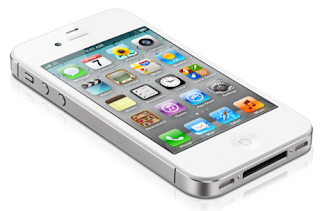 My first opportunity came last year, in 2010, when the iPhone became available on the Verizon network. My co-managers (who are all woman) all wanted iPhones. We would have to convert our numbers and account from Sprint to Verizon in order to make this possible; they were ready to do it. I let one of them play with a co-worker's iPhone and this co-manager thought that the touch screen would be inconvenient to type on because of their long finger nails. Since the managers were used to the Palm Treo and its physical keyboard, they decided that the Samsung Epic was a better way to go. Since I had the iPad 1, I went along because it gave me an opportunity to use and learn more about the Android ecosystem. Additionally I thought it redundant to have both the iPad and an iPhone. This year in May, I purchased an iMac 21" desktop computer instead of buying the Mac Mini, Mac Book Pro, the Mac Air or even upgrading to the iPad 2. Suddenly, I was a full-fledged Apple guy; iPod Touch, iPad 1 and iMac. Well not quite "full" fledge yet, because I carried the Android loaded Samsung Epic. After owning the Epic for over a year, I have become very displeased with it. The battery life is terrible. The Android Market never seems to offer compelling apps. I mean my Android has the core apps that I enjoy, like Stitcher Radio, Dropbox, Pandora, Facebook, Twitter, White Noise and others. Truthfully, the Android could do a lot of the things that I wanted to do; however, if I actually used it to do any of those things the battery would drain to nothing. I carried 2 extra batteries to get through the day. The main thing that I used the phone for was talking, texting, picture taking, door to door navigation and looking up places near my location thanks to the GPS. Bluetooth is also huge for me. I have the LG HBS-700 Bluetooth headset. My Grand Prix has a Bluetooth equipped radio, so I am listen to my phone's streamed audio in my personal headset or through the car's speaker system. The truth of the matter is that my phone doesn't see a lot of work because I have the iPad. The bigger screen is always preferred over the smaller phone's screen. Still there are certain apps that I will always prefer to use on the smaller, pocketable phone. Most apps that I own for the iPad, have an app for the iPhone as well. To get the equivalent app on the Android phone would involve purchasing the app again, whereas in most cases, I can download the app purchased for the iPad on the iPhone for free. I could live with it, but my co-managers are hungry for the iPhone. They have reading and viewing every bit of content on the newly released Sprint iPhone 4s. It was inevitable that I get one, but the decision to allow Sprint to finally sell the iPhone has made it possible. I preordered the White 32GB iPhone 4s (I owned the 16GB iPod Touch and the 16GB iPad 1 and have never had enough space) and can't wait for it to arrive this Friday or Saturday. What Can I Ask Siri on the iPhone 4s?